All events held at St. Charles Avenue Presbyterian Church (directions). This event is free and open to the public. 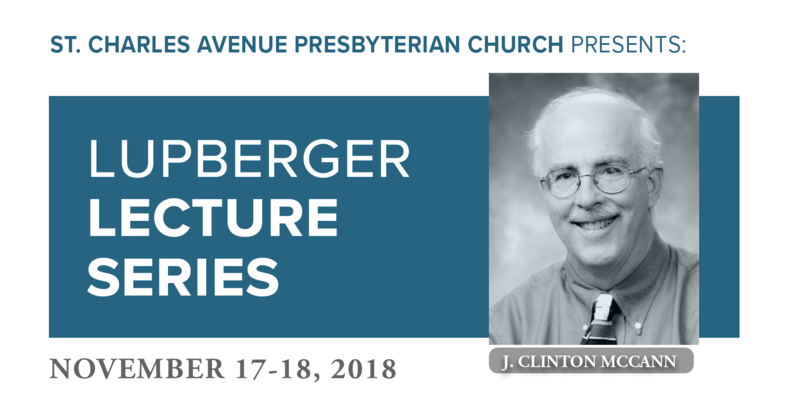 J. Clinton McCann is the 2018 Lupberger Lecturer at St. Charles Avenue Presbyterian Church in New Orleans. 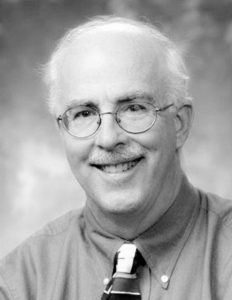 J. Clinton McCann, PhD, is Evangelical Professor of Biblical Interpretation at Eden Theological Seminary. 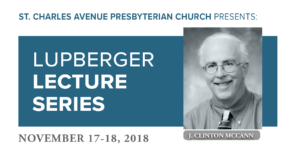 An internationally recognized expert on the Psalms, his numerous publications include A Theological Introduction to the Book of Psalms: The Psalms as Torah and the Psalms commentary in The New Interpreter’s Bible (Vol. IV). An ordained minister in the Presbyterian Church (USA), he served as consulting translator of the Psalms for the Common English Bible, and he has lectured or taught for church groups or academic settings in 26 states. *Taking as inspiration the psalmist’s affirmation in Psalm 120:7, “I am for peace,” this study of the Psalms intends to show that justice and peace are at the heart of the book. Crucial in this regard is Psalm 82, which New Testament scholar John Dominic Crossan calls “the single most important text in the entire Christian Bible.” But it is not alone. We shall move from Psalm 82 to the enthronement psalms (Psalms 96-99), to a pivotal royal psalm (Psalm 72), and to other types of psalms as well. We shall attend constantly to how the psalmists are “for peace” and how they invite us to be “for peace” as well. In recent years, scholars have increasingly been reading the Bible with an eye toward the ecological crisis and the integrity of creation. The Psalms invite such a move, and this session will explore how the Psalms are an important resource for an ecological spirituality. To help us spread awareness, please download and share this graphic about the Lupberger Lecture Series.